Finding great sports facilities and booking these facilities is complicated, time consuming and has not caught up with comparable industries (such as travel, food delivery etc) meaning a lot of potential sport gets killed in it’s tracks. People are not aware of all the potential sport that is going on around them and therefore not engaged in becoming more active. 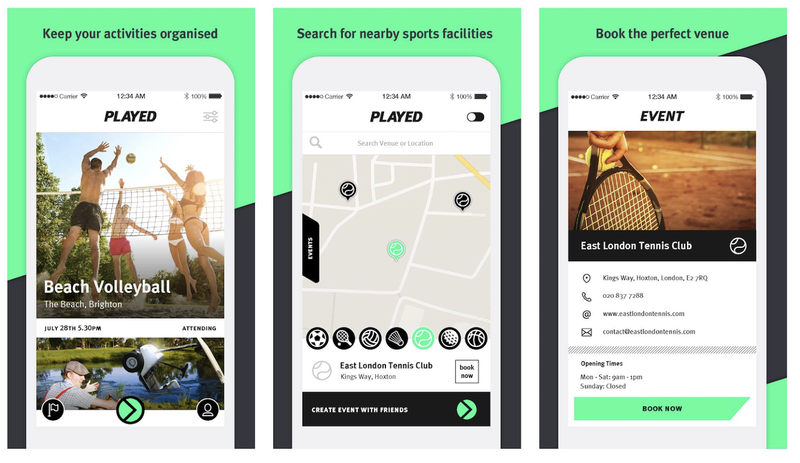 Our product shows users the nearest, best sports facilities through our map and search features - showing users facilities they were previously unaware of which encourages more spontaneous sport. The availability of these facilities and a platform to book and pay on make the process of getting involved in sport a whole lot easier. 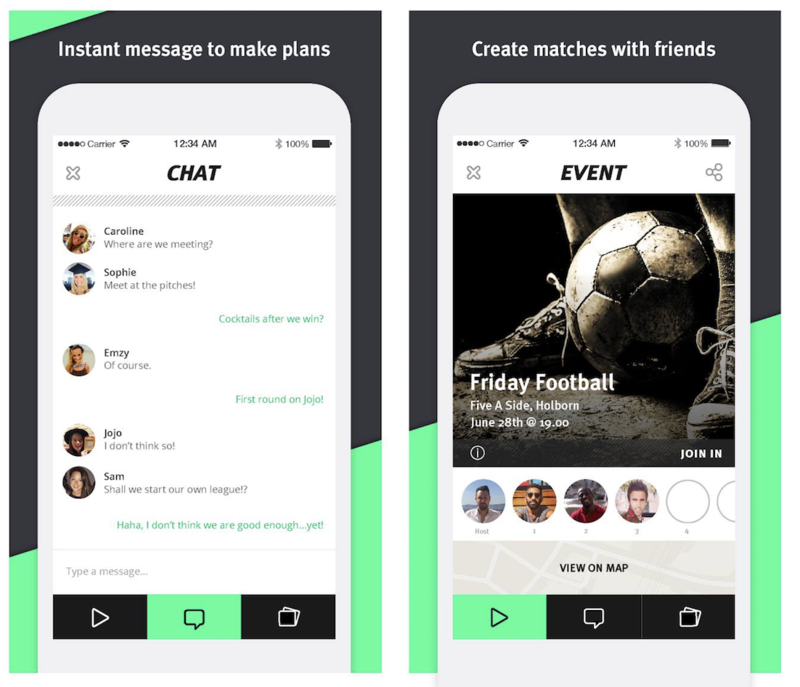 Our social features allow users to easily manage their sporting activities and organise real time games with their network. Users will be able to join in with public games through our feed and become more engaged in sport than ever before. See live availability, book and pay without leaving the app. Plan public or private games with network. Find facility deals and promotions. Be social, chat and share content. 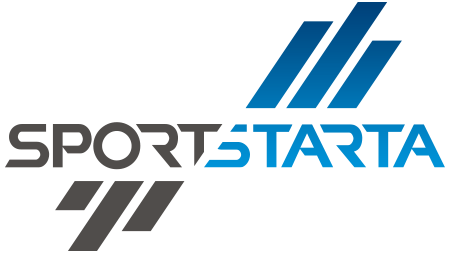 Be part of an online sports community. Make your facilities bookable to a community of engaged users looking to find the best facilities to play at. ‍Advertise empty slots in order to maximise revenue. Reduce the number of no shows through up front payments and booking reminders. Become visible to people looking to play more sport. Advertise deals and discount to user base making your facilities stand out from the crowd. Access direct feedback from users about facility. No setup fees, become bookable through opening your data with the Open Active scheme. We want to be able to make your facilities bookable through our platform, allowing our users access to the best available sports facilities creates a greater experience for our users and engages this community with your facilities - increasing the amount of sport played. We will be a re-seller of your facilities and would love to discuss partnerships in delivering this going forward. 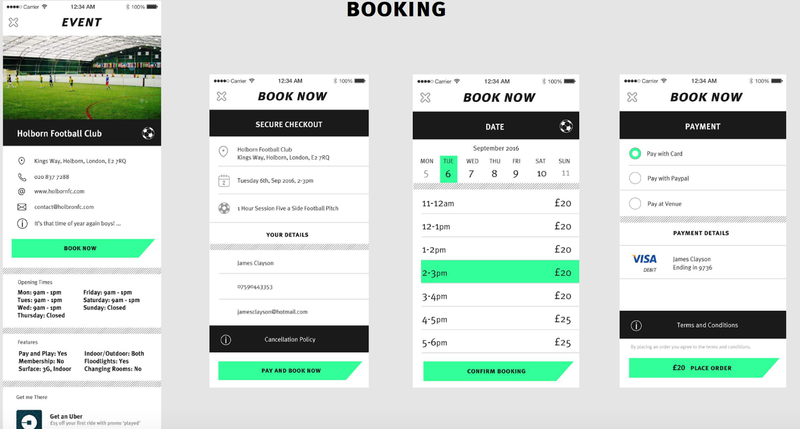 We will use opportunity data provided by imin to assess information about the facility such as location, opening times, availability and a booking and payment API to allow users to confirm and pay for bookings from their smartphone. As our users have profiles we will create participation data which will include the frequency of play, amount spent on physical activity, types of sports being played, age and gender or players and much more allowing us to share this data with partners to provide them information to create products and solutions to further increase physical activity. We are partners with Imin who will be providing API’s for us to display availability and make facilities bookable through our platform. Our platform will easily integrate with your current booking systems if you have opened your data through Open Active allowing a seamless booking journey for our users. Our product is the right choice because alongside building a facility booking platform, we are building an online sports community allowing us to help sell your facilities, leagues, sessions and more, increasing revenue and getting people more active.